My Cancer Care Record is a resource designed for people affected by cancer and seeks to help people store, record and organise their health and cancer-related information. The resource is appropriate for patients with any type of cancer and is intended to be used across any health service. 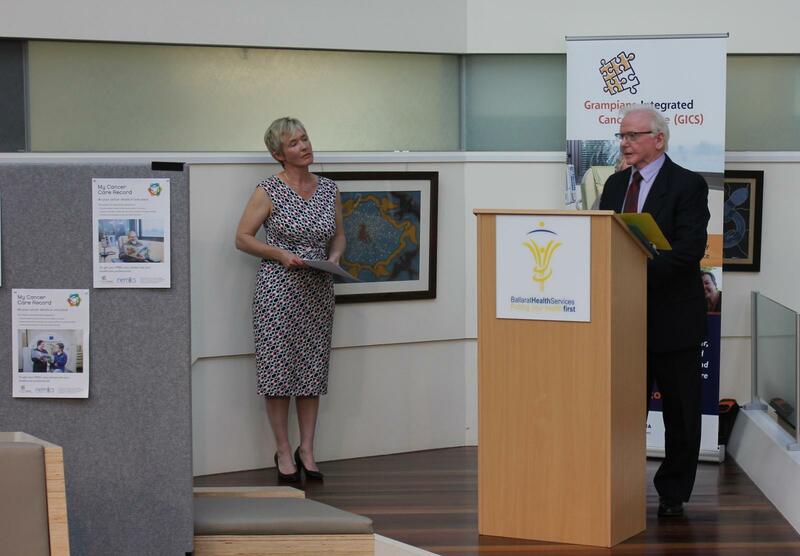 On Friday 4th November 2016, NEMICS and Grampians ICS (GICS) consumers and staff launched My Cancer Care Record at the Ballarat Regional Integrated Cancer Centre. Approximately 50 health care professionals and consumers attended, including several local politicians. Consumer representative, Ray Kelly kicked off proceedings with a review of the vision he and other members of the NEMICS Consumer Reference Group had for the resource; the hard work that has gone into developing, trialling and revising the folder and the very real potential for the resource to become available to any Victorian diagnosed and/or affected by cancer in the near future. In 2014, the first version of My Cancer Care Record was developed and piloted with some 100 users across metropolitan and rural health services in the NEMICS and Loddon Mallee areas of Victoria. The initial proof of concept pilot was run over three months. Feedback was very positive and users confirmed that it was a useful and worthwhile resource. Based on the feedback received, further enhancements have been made to the resource and a larger and longer implementation pilot planned. In late 2015, NEMICS were approached by the GICS consumer advisory group to share our learnings from the development and pilot of the resource. Consumer consultations conducted in the Grampians region had identified the need for improvements in communication and information and support and assistance. GICS recognised the role that My Cancer Care Record could have in effecting change in practice and addressing some of these issues and so the formal partnership between NEMICS and GICS began. During 2016, revisions were finalised to the second version and consumers and project staff from NEMICS & GICS worked together in determining the requirements of the larger implementation pilot. During 2017, NEMICS and GICS will implement and evaluate the second version of My Cancer Care Record with the support of clinicians across 18 cancer care services within the two regions. 2000 copies will be available to people affected by cancer. It is hoped that this will provide the evidence that My Cancer Care Record is valued, used and needed by people affected by cancer and the clinicians working within the health services; and that this evidence will inform the business case for ongoing support for the resource; its utility and usability. 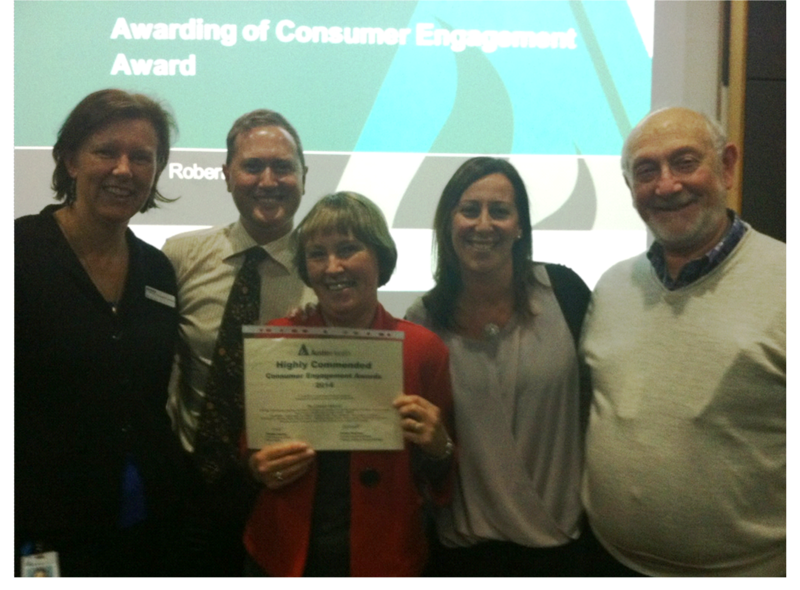 My Cancer Care Record received a Highly Commended award at the recent Austin Health Consumer Engagement Awards. This was awarded in recognition of outstanding consumer engagement throughout the project. A big thank you to the consumers and clinicians who have helped in this project! The poster can be viewed in the documents below. My Cancer Care Record is an initiative of the NEMICS Consumer Reference Group. My Cancer Care Record is a new resource to support people living with cancer to store and record their medical and health-related matters in one place. 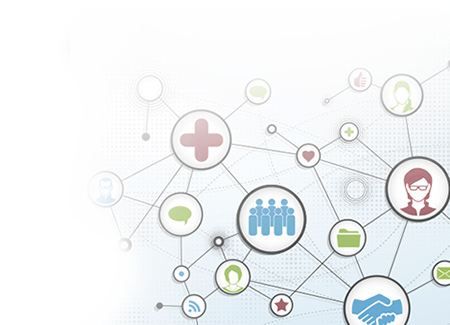 It also guides people to the information they might request of their health care professionals. Cancer care can be complex and challenging, can involve multiple treatments provided by multiple people, across different services and over long periods of time. People affected by cancer need to keep abreast of their information to be able to communicate this across the variety of health care professionals involved in their care. My Cancer Care Record has been developed to assist people affected by cancer and their health care professionals. It seeks to support the active engagement of patients in their care and also encourages health professionals to provide relevant information to their patients. Have you any other medical problems? What is the name of the chemotherapy medication you are having? When did you complete your radiotherapy? The development of this resource has been led by a very dedicated consumer reference group, with valuable support of an advisory and implementation group. This group has contributed significant clinical expertise to refine ideas and content and has included health professional representatives from public and private health services and Cancer Council Victoria.